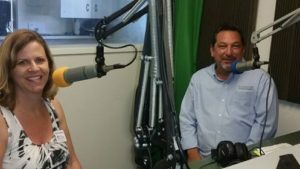 Santa Barbara Real Estate Blog- On the Radio Waves with Guy Rivera! I was honored to have been invited by Guy Rivera of Guarantee Mortgage to appear on his radio show on KZSB 1290 AM. It was such a great pleasure to have the opportunity to converse about what’s happening in Real Estate in Santa Barbara. In Real Estate, there is great strength in the connections you have and build in the community. I am grateful for every one of them!